Spectacular views from living room, dinning room and balcony. We guarantee you will enjoy yourself, untroubled by the pace of life, at this seaside retreat. Indulge yourself allow yourself to be nurtured by relaxing in the elevated cottage, listen to the rolling waves, watch dolphins and whales, sea eagles, pelicans, black swans which headline the parade of natures treasures. THE COTTAGE - 3 bedrooms, master with en-suite, 2 bathrooms, plus an outdoor bath. Modern kitchen, living and dining area eclectic furnishings, including leather lounges and shabby chic design, topped off by a huge deck. Overlooks Morehead beach, the harbour the town and the wetland. A view you can reach out and touch. STAY IN! watch and the birds circling in front of the house waiting for the updraft. Make use of the modern well equipped kitchen OR dine out, take advantage of several excellent local restaurants and wineries. GO OUT.- water sports, bikes rides, horse rides, golf, tennis or just walk the beach, fish off the beach. 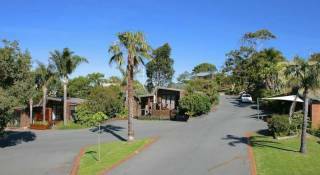 Situated on a headland and facing south, with views over Mooreheads Beach at the end of which is the harbor entrance, you can watch the trawlers and fishing boats, coming and going, after dark the view remains, changing to the twinkling lights of the evening. Although private, it's only three minutes drive to Bermagui Township which offers great restaurants and eateries; be sure to enjoy the delicacies at 'Cream' our local Patisserie, or explore the marina a fabulous location, beautiful views overlooking the harbour, beaches and mountains and featuring 'Il Passagio' Italian restaurant, 'Horse & Camel' Wine Bar, plus Asian inspired restaurant,not fish & chips, plus a host of other cafes, galleries and wineries..
Or take a short walk along the beach to Octapii Restaurant & the 777 market. 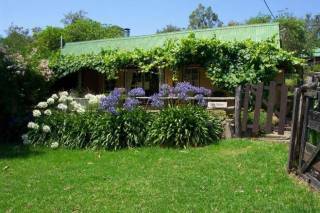 Guest Review September 2014: Bermagui Beach House is the perfect place to experience Bermagui. The house is beautifully furnished and very easy to live in. With our two children, 11 and 13 we spent 10 days at the house. All the fitting out of the house is perfect for a holiday, with a well appointed kitchen as well for a good cook up. We absolutely loved spending afternoons looking over the deck and seeing whale spouts out to sea, of which there were many! 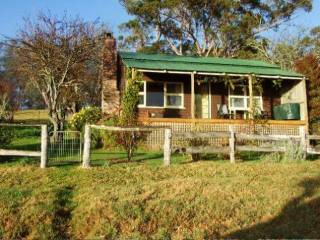 "BOOKINGS" means the period for which you have paid to stay at the Property, means No4 Keating Drive Bermagui and all its fixtures, fittings and equipment. “Management” means the owners and managers of the Property. "Guests" means the persons who stay overnight in the Property during the Booking. 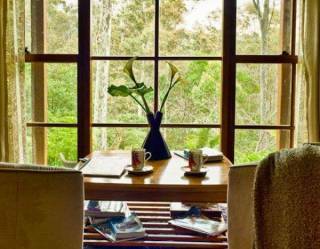 "Visitor" means a person a Guest permits to visit the Property during the Booking. Check-in time is not before 3:00 pm on the arrival date and check out time is not later than 11:00am on departure date. 4. A deposit of 50% (minimum), must be received within 7 days after acceptance by both parties. Bookings are not confirmed unless and until this deposit is received. Payment in full must be received no later than 21 days prior to your arrival. We accept payment by direct deposit into our bank account, credit card, bank cheque or money order. Personal cheques will be accepted if received at least 30 days prior to arrival. If you wish to vary or cancel your Booking, please contact us immediately on 0402337396 • Your deposit is non-refundable in the event of a cancellation. If you have paid more than the deposit or paid in full and cancel your Booking you will receive a refund only if the house is re-let for the time period of your booking. Should you be eligible for a refund it will be made by direct deposit to your account. An administration charge of $100 will be charged for any variation or cancellation. A bond payment of $300.00 is required at the same time as the outstanding balance of your Booking. It will be credited to your designated account once our property has been inspected and deemed left in a similar state to your arrival. We agree to ensure this occurs within 14 working days of your departure. Any damage, loss or expense incurred by Management as a result of your breach of these Terms & Conditions will be charged against the bond. Examples of this include but are not limited to any breakage, damage or excess cleaning requirements, i.e. BARBEQUE AND STOVE NOT CLEANED AND READY FOR NEXT GUEST, and extra guests beyond those declared. If the Property becomes unavailable for your occupancy due to unforeseen circumstances (eg. fire, storm, damage, etc) then Management will inform you immediately and endeavor to obtain suitable alternative accommodation for your occupancy; failing which any moneys paid will be refunded in full. Parties and Functions are strictly prohibited. No disturbance of neighbors, no undue noise, when entering and leaving the premises, no behavior likely to cause damage to property or offense or embarrassment to others, all noise to cease by 10.00pm. We supply pillows, blankets, quilts, and bathmats which must be left where supplied in the bedrooms or bath room on departure. Guests must provide their own sheets and towels or these can be hired through Management for $25.00 per person, the beds will be made up and ready to slip into on your arrival. Beach towels are not included. Pets are only permitted on the property by agreement in writing with the owner. Pet owners are responsible for cleaning up after their pets both within and outside the property. Pets are not allowed on furniture at any time. There is a $50 cleaning fee for pets, however any evidence of pets on furniture may incur extra cleaning and sanitizing fees. You must comply with all applicable Stayz House Rules and all instructions from Management and the caretakers of the Property concerning occupancy, property, health, safety and quiet enjoyment of the Property and our neighbors. Only the guests nominated and agreed in the Booking may stay in the Property over night. If any other guests stay extra charges will apply or the agreement may be terminated without refund. Disturbance to our neighbors, including excessive noise, is prohibited and may result in termination and eviction without refund and extra charges may be made for security and other expenses. Before departure all rubbish should put in the appropriate council rubbish bins provided, and crockery and cutlery washed and packed away. The Property must be left in a clean and tidy condition. THE BINS MUST BE PUT OUT ON A SUNDAY EVENING FOR A MONDAY COLLECTION. SHOULD YOU BE USING DISPOSABLE NAPPIES PLEASE INSURE THESE ARE PLACED IN DOUBLE PLASTIC BAGS AND DISPOSED OF IN THE RED BIN PRIOR TO DEPARTURE. YOU WILL BE CHARGED A FEE FOR DISPOSING OF SOILED NAPPIES BY THE CLEANER. Extra cleaning charges may be incurred for the cleaning of dirty dishes, washing machine, dishwasher, emptying the fridge, removal of excessive rubbish etc. Should the cleaning fee be more than the usual cost for cleaning the property, you will be charged the additional costs over and above the normal cleaning fee which will be deducted from the security bond. ALL FURNITURE AND FURNISHINGS MUST BE LIFT IN THE POSITION THEY WERE IN WHEN YOU ARRIVED. The property should be vacated on time and secured. All windows and doors are to be locked. In the case of any problem or complaint, you must inform us at the earliest opportunity so we have the chance to rectify the situation as quickly and efficiently as possible. You must allow repair/service access to the property during reasonable hours. We wish you a safe and enjoyable holiday and thank you for booking with us. I am sure you will enjoy your stay, the house is cute and the view superb, use the binoculars provided for a closer look at the Sea Eagles, Hawks, Wrens, Pelicans, Black Swans, Black Cockatoos they are always entertaining. Whales are visible from the house when they are migrating, so if you glimpse a plume of spray-check it out. The house, situted on a headland has beautiful beaches to the north and south. Moorehead Beach, to the south is closest to the house and littered with a treasure of shells and stones. Camel Rock is on the north side. The local monthly newspaper the "TRIANGLE" is full of information on where to go and what is happening in Bermagui and the surrounds and can be purchased from the local newsagent and 777 store. Or you may want to view our website (bermaguibeachhouse.com.au) for more activities and suggestions. Bermagui has a wide variety of restaurants, cafes and takeaway to tantalize the taste buds, including Mr Jones, on Bunga Street, he (serves the best coffee on the south coast and the Gelato Bar next door, run by a delightful Italian couple, is second-to-none. Across the road is the Community Center, incorporating Bermagui Information Center, the Library and CTC, (both have WiFi capability). The Marina and Fisherman's wharf complex with its' world class view, features several of these, the "Horse & Camel Wine Bar",has a deli style menu or buy your fish and chips downstairs at Blue Wave Seafood, the seafood is caught in South Coast waters and processed on the premises. Pay a small fee to the wine bar and enjoy a specialty wine, beer or cocktail with your take away seafood, a very inexpensive alternative to restaurants. Speaking of shopping Little Mermaids, near the 777 has a fantastic eclectic selection of clothes and various goodies. In town is a patisserie, "Cream" yummy cakes, pies and pastries. 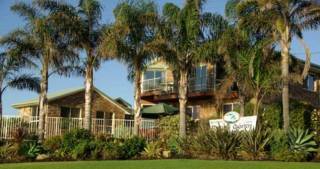 Meals are also available at the Bermagui Pub and the Country Club. Further down the coast the Mimosa Dry Stone Restaurant & Cellar Door is set on 200 acres in a coastal valley between pristine beaches and national parks, Mimosa grows fine regional wines and serves beautiful, fresh and locally sourced food. The restaurant sits above the vineyards with a sweeping view of all the surrounding national parks. Try some wine at the cellar door, enjoy lunch or dinner on the deck overlooking the mountains and a wood-fired pizza on the terrace during summer.